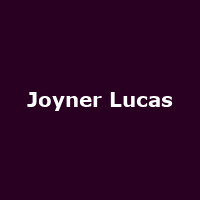 Joyner Lucas is American rapper, poet, singer and songwriter, Gary Lucas from Massachusetts. He rose to prominence with the 2015 single, "Ross Capicchioni". He released his debut mixtape, "Listen 2 Me" in 2011, followed by: "Low Frequency Oscillators" (2012), "Along Came Joyner" (2015), plus 2017's: "508-507-2209".